Bebop always wears a working costume, one that allows for sitting on the floor in a play area or on the the grass at the park. This is important in order to be ready to play with the children. 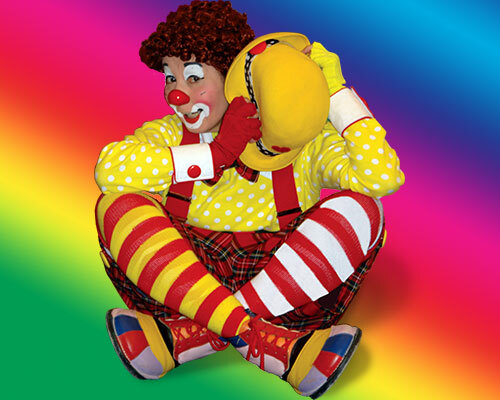 I often use my hat as a playful prop to play peek-a-boo or to play catch with the children using three juggling balls. 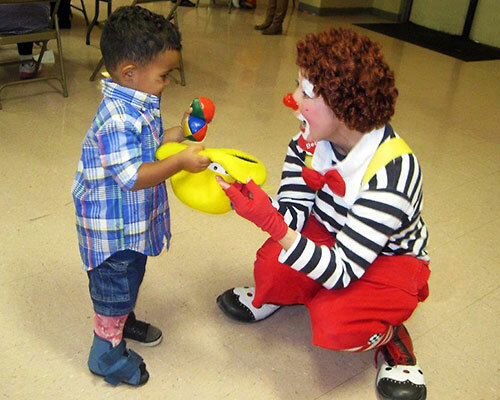 Bebop is always aware that some children may be afraid of clowns. Keeping this in mind Bebop's character is mild, kind and playful. 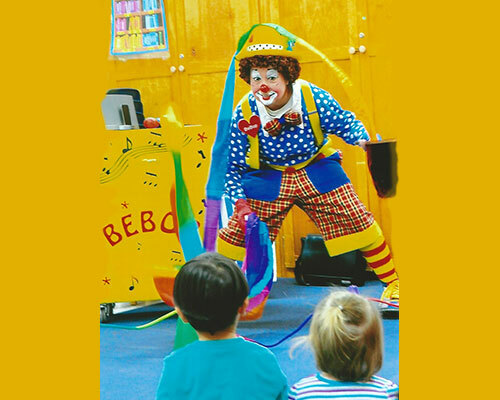 This approach allows children to warm up to Bebop at their own pace. 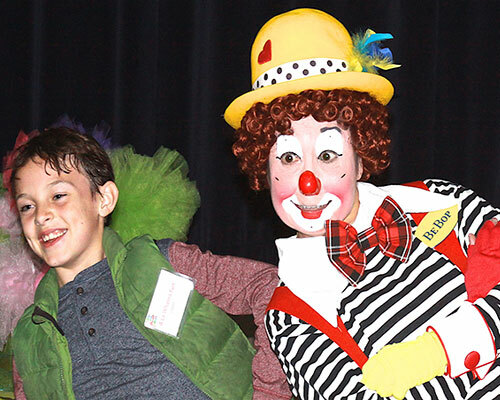 Performing with a volunteer at one of Bebop’s Alley workshops, it’s great to teach clowning skills to young children. 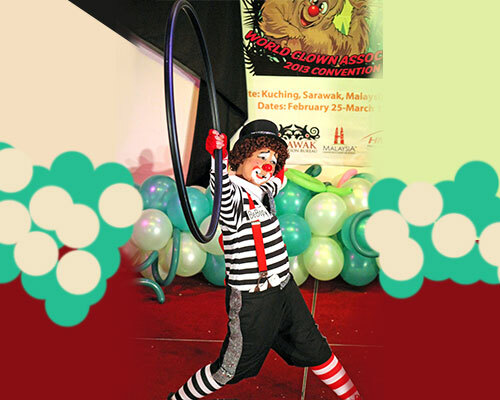 These young kids hold the key to the future of the Art of Clowning. 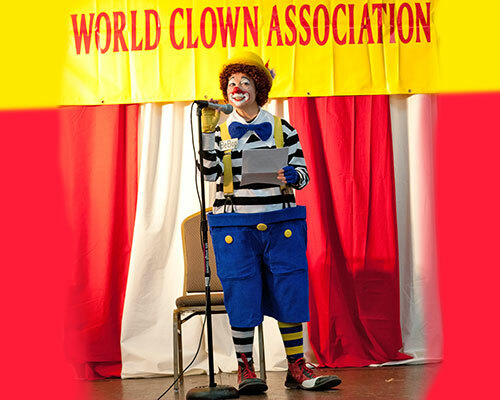 Bebop served as President of the World Clown Association (WCA) in 2010-2011. She was President when WCA hosted their 2011 annual convention in New York City. WCA holds an annual convention in the states but every fourth convention is taken outside of North America, most recently we’ve been to Canada, Malaysia and Thailand. 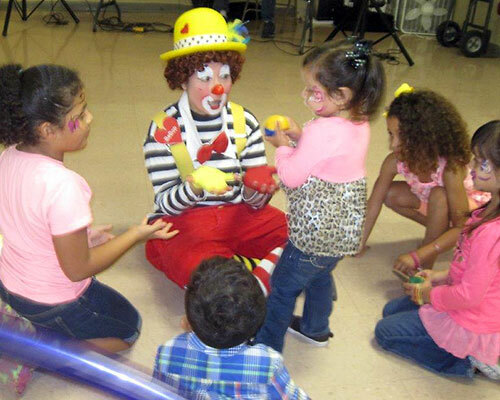 Children enjoy interacting with a clown that is approachable and playful. Entering the world of a child is a special privilege to be enjoyed and treasured. 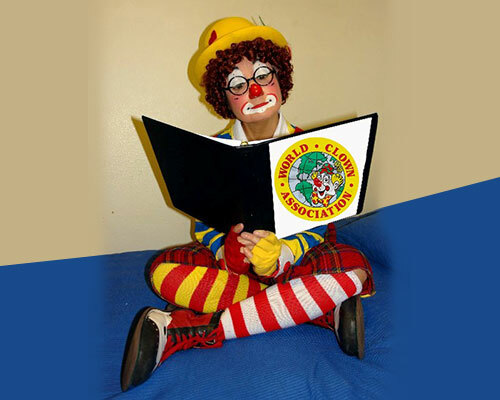 Most recently (2016-2017) Bebop served on the WCA Executive Board as Education Director. Duties included the scheduling of all presenters and vendors for two annual conventions. Those two conventions were the Orlando convention in 2016 and the Thailand convention in 2017.